“I used to experience delays in collecting money from customers due to the fact that some of them would buy food without paying, promising to pay later with the excuse that they do not have cash with them, only to default. I do lost money. Now I use the Ecobankpay and there is no excuse. 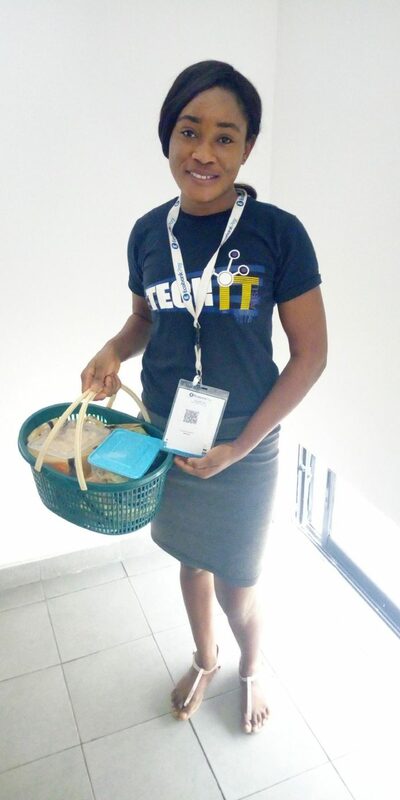 If you do not have cash, pay me through your phone, I tell them.” This is the story of Folakemi Fasoyin, a food seller who earns a living, selling bread, rice and drinks in a basket and receives money from her customers using Ecobank’s QR/USSD solution, the EcobankPay. This no doubt is extending the boundaries of the financial inclusion agenda as it is making headway in very unlikely territories. With EcobankPay, Folakemi Fasoyin is able to receive payments seamlessly because her customers can now simply scan the code with their mobile app and she receives the funds instantly. She also does not need worry about “change” anymore which was a big challenge when she was accepting cash payments.